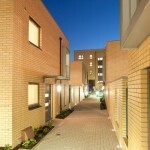 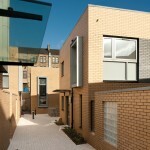 Fore Street is a unique development, which adopts a novel approach towards the design of urban housing in Scotland. 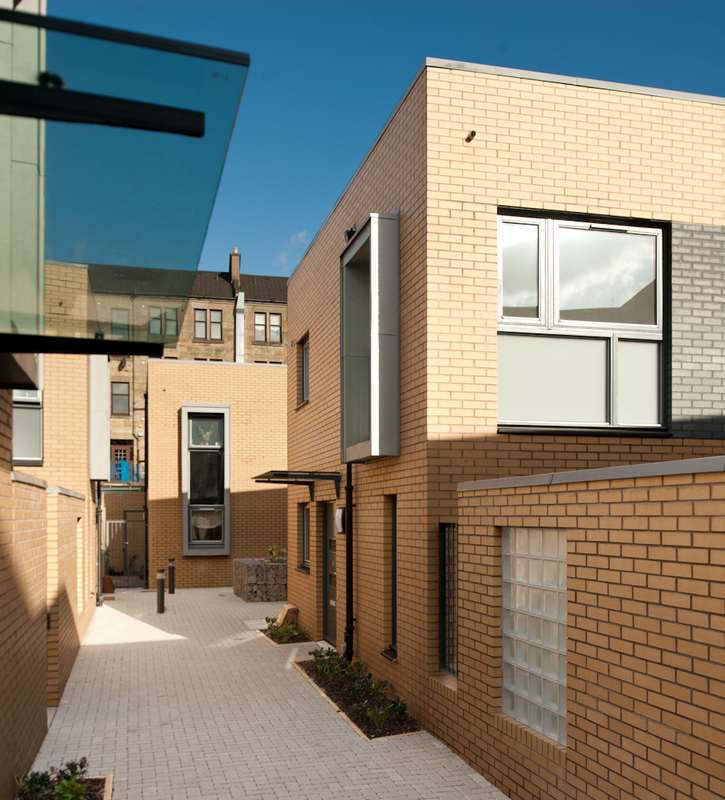 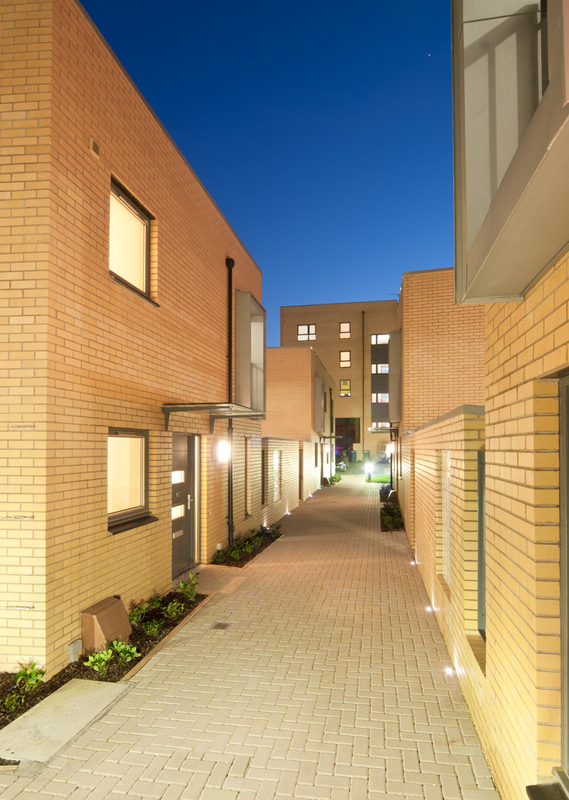 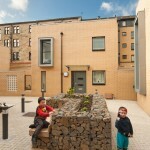 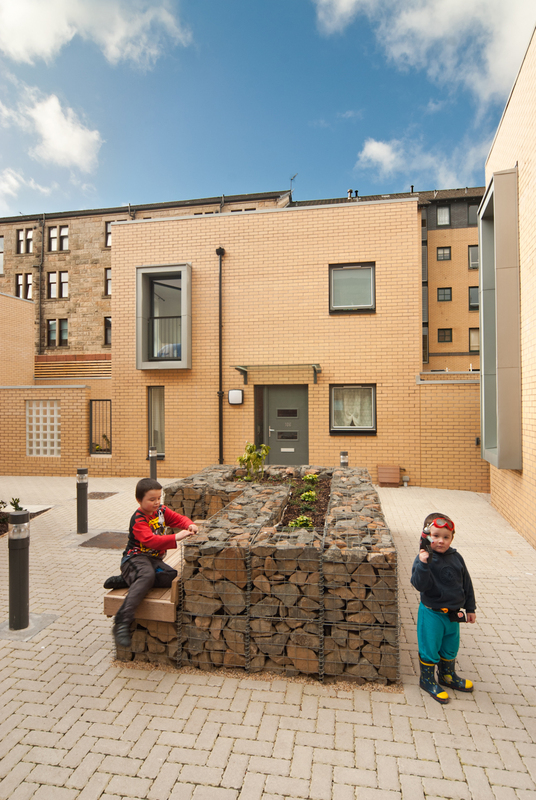 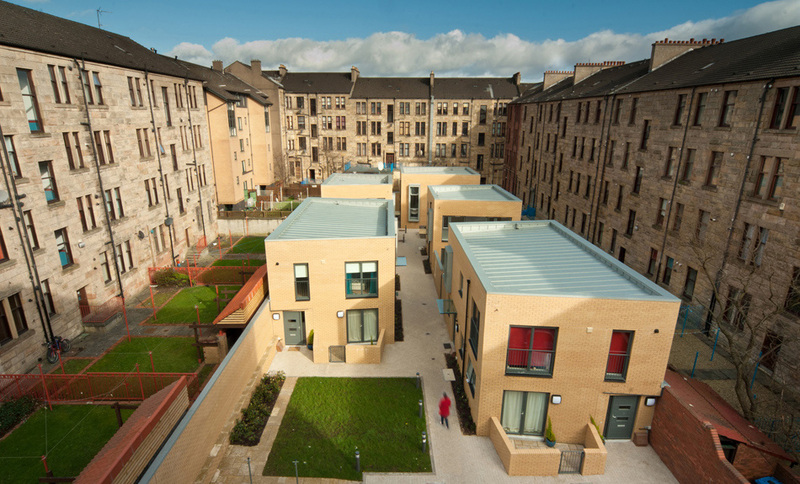 Hypostyle Architects designed this social housing project within an existing Victorian tenement perimeter block, previously occupied by two derelict buildings. 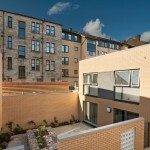 A ground floor bakery along the Southern Edge of the block had fallen into a state of disrepair, whilst a mews property behind served as an operating car repair business. 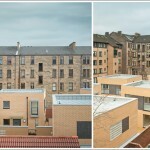 Accessed through a pend within a new build 5-storey block of flats, the scale of the adjacent tenements is maintained whilst the ‘urban block’ perimeter edge of the site is reinstated. 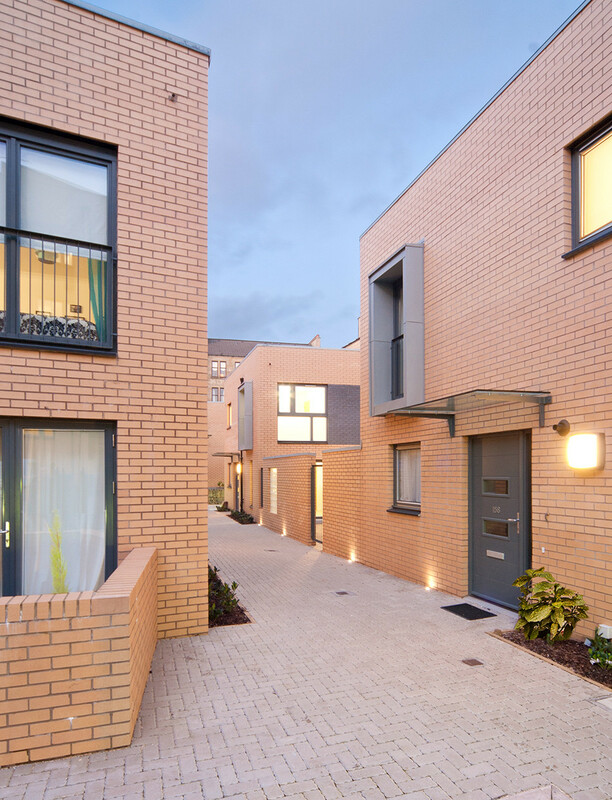 This leads to a more private and serene backcourt area, which in turn leads to an intimate and attractively lit central pedestrian lane, giving access to a series of 2 storey houses and cottage flats. 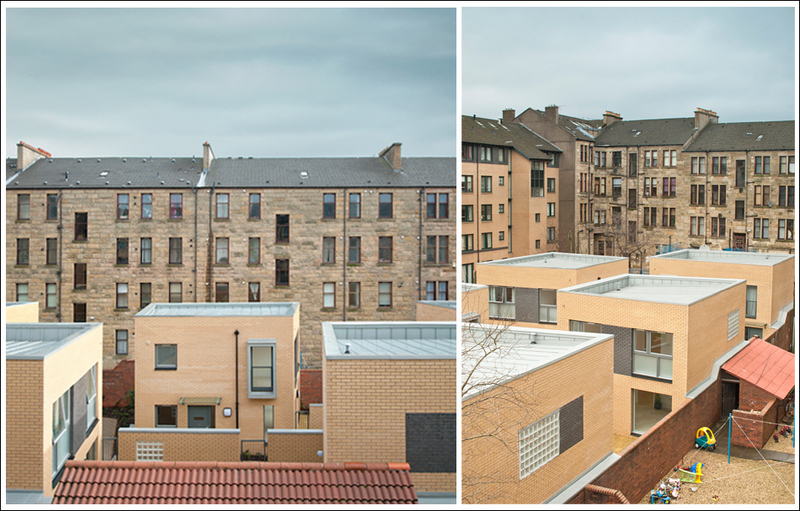 These properties are arranged along either side of the lane, staggered in relation to the opposite side, allowing an outlook beyond immediate neighbours towards the tenements either side of the block. 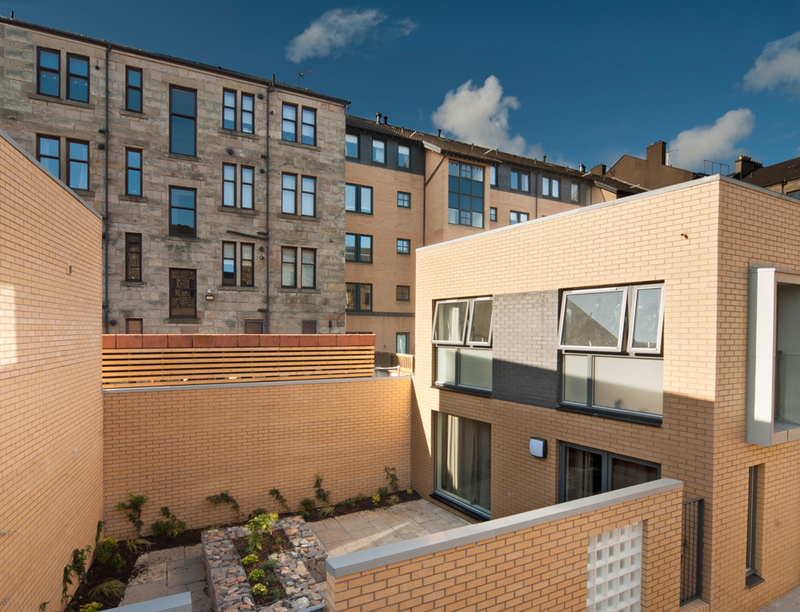 The intermediate spaces between the blocks create attractive garden courtyards that are overlooked by and extend the principal living spaces.